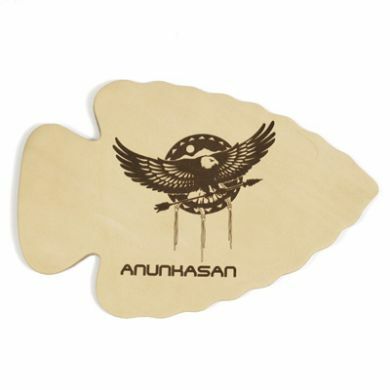 The classic Arrowhead Shape is die cut from premium tanned leather. The light tan color of the leather engraves a rich brown color with a laser. Photos, text and logos take on a unique and beautiful look when engraved on these shield shapes. The engraved shield can be mounted to a plaque using spray adhesive. Leather products are made from hand picked hides and have a smooth top surface for optimum engraving results. Small variations in the finish provide a unique and natural look. 4-3/4" x 7" x 1/8"